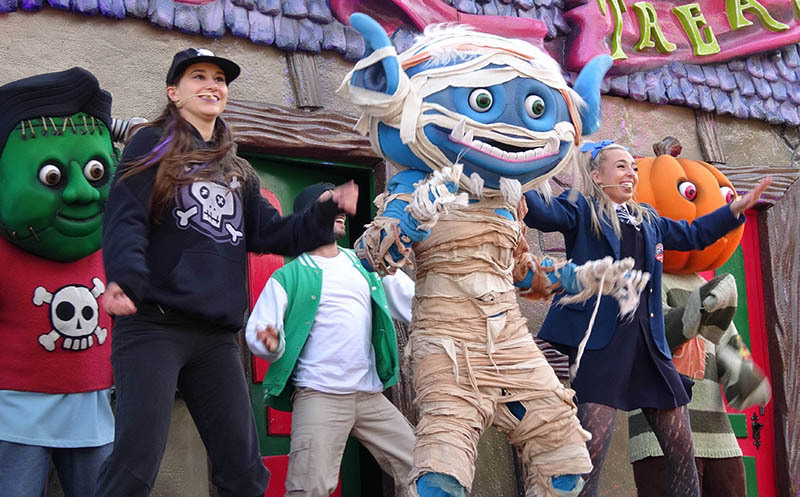 Join Patch, Skelvin, Franklyn and Phil for a song and dance show live on the Trick or Treat stage. Trick or Treat Party is a live stage show aimed at young families. It features Alton's friendly Scarefest characters Patch (the pumpkin), Skelvin (the skeleton), Franklyn (the scaredy-cat frankenstein look-alike) and Phil (the mummy ... why Phil? who knows ...) together with some human assistants singing and dancing along to various halloween party hits. Although primarily a kid's show, Trick or Treat Party is entertaining for children and adults alike - especially if you enjoy a bit of a Halloween party sing-a-long.